Thermodyn Global Sealing, where your success is sealed, carries Silicone Rubber which is a very versatile material by the mere fact that the temperature range is more extreme than other synthetic rubbers. The silicone rubber is inert, very flexible and can be used in medical and FDA environments. Rubber products made in the USA. Silicone rubber is a very versatile material by the mere fact that the temperature range is more extreme than other synthetic rubbers. The silicone rubber is inert, very flexible and can be used in medical and FDA environments. In addition to temperature, silicone rubber has superior resistance to water and makes an excellent electrical insulator. 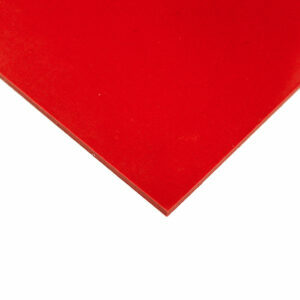 Thermodyn Global carries Specification Grade Silicone, red in color, in 50, 60, and 70 durometers. We also stock a white, FDA-compliant silicone as well as cloth inserted silicone materials. ©2018 Thermodyn Global Sealing, Inc. All Rights Reserved.